Comfort and luxury are two of the many reasons why Lincoln MKZ owners love their vehicles. We are sure that the design and style options of the latest models will also be appealing. Meet the new Lincoln MKZ at our Puyallup showroom. Lincoln designers and engineers continually work to improve upon vehicle style and function. The effort is apparent in the front of the Lincoln MKZ, which commands attention. The chrome honeycombed grille accompanies chrome accents around the headlights, air intake vents and lower bumper. The 19-inch wheels are machined from aluminum and accented with contrasting black paint. 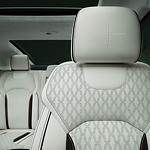 On the inside, ventilating fabric and leather-trimmed seats provide comfort year-round when adding heating technology. Set the mood on the interior by opting for the ambient lighting package. Choose from seven different colors to create a relaxing or energetic mood during road trips. Spoil yourself and indulge in a test drive. See us at Korum Automotive Group.